Terry Rupp had a good opening game at short-season Spokane in 1989, picking up two hits and two runs scored. He told The Spokane Chronicle it was part of doing what he was told. "They told us to go out and have fun," Rupp told The Chronicle. "That's what it's been about. They said, 'Don't look at this as a job ... just develop your skills to maximum potential." Rupp's maximum potential, however, didn't lie in playing. His maximum potential was in working with players. His own playing career lasted just two seasons. His career since has been spent as a college coach and high school athletic director. He also realized his potential by leading his old college to a national championship, months after coming back from cancer. 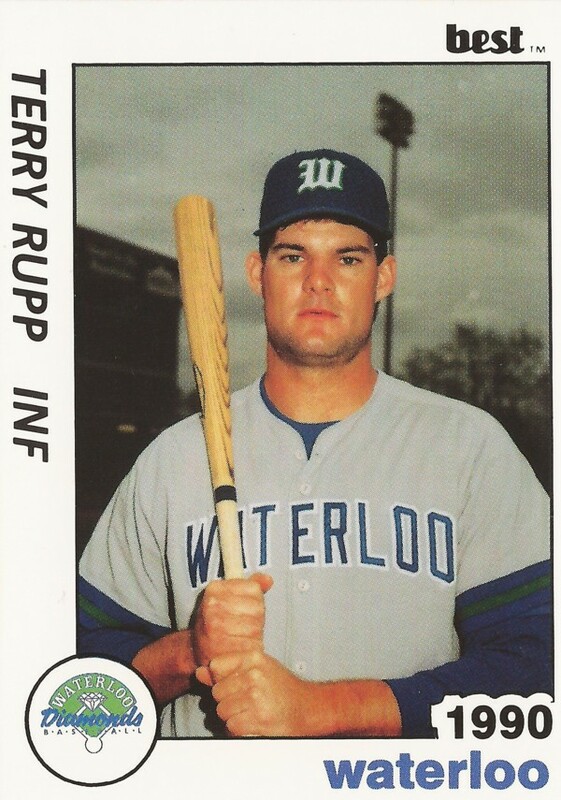 Rupp's brief pro career began that year in 1989, taken by the Padres in the 17th round of the draft out of the University of Tampa. 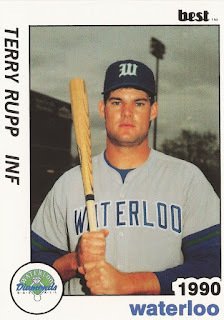 At Tampa, Rupp played both baseball and basketball. In basketball, he helped is team to a Division II regional win in March 1989. He went to Tampa out of Jesuit High School of Tampa. There, he was a McDonald's All-American in basketball in 1984. With the Padres, Rupp played his first season at Spokane. He got into 57 games, hitting .242. He moved to single-A Waterloo for 1990, hitting .249. It was his final season as a pro. Soon, Rupp became a coach. He coached at short-season Oneonta from 1993 to 1995. He then returned to Tampa, becoming head coach there for 1996. In December 1997, Rupp was diagnosed with a brain tumor. Some assessments had him not surviving six months. But there he was in June 1998, leading the University of Tampa to the Division II national championship. "It's been a great year for me personally," Rupp told The Associated Press afterward. "I feel very fortunate that I'm still able to do what I love to do, especially considering how close I was to losing everything." Rupp stayed at Tampa into 2000, when he moved to the University of Maryland to coach there. He stayed at Maryland into 2009, when he became athletic director at Jesuit High School of Tampa.